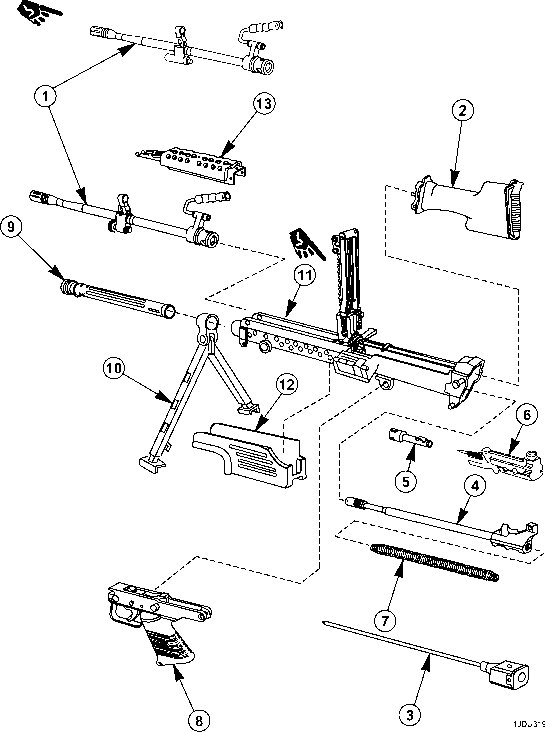 SEPARATE FOLDER WITH COMPLETELY DETAILED GENUINE ISOMETRIC DRAWINGS OF 11 WORLD-FAMOUS GUNS! Immense!/ vatuoble and interesting information on 11 great guns that you've heard of all your life' Each detailed exploded view shows the complete take-down of the gun-right down to the tiniest screw or spring! Isometric drawing technique puts each part in proper relation and proportion to all other parts- Result is a working diagram which practically takes the gun apart and puts it back your very eyes! This FREE separate folder supplied ONLY with first 100,000 copies of this new Edition! To be sure of yours—go to your local dealer soon, or mail the Coupon at right! A/oOtkl Bod like GUN DIGEST!